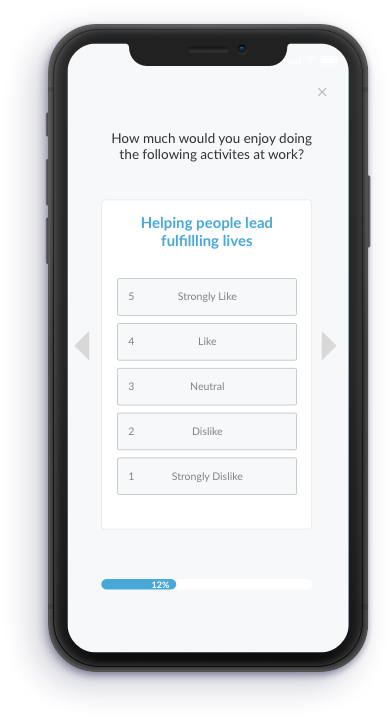 Screen candidates by identifying the traits the lead to performance, retention, and cultural fit at your company. 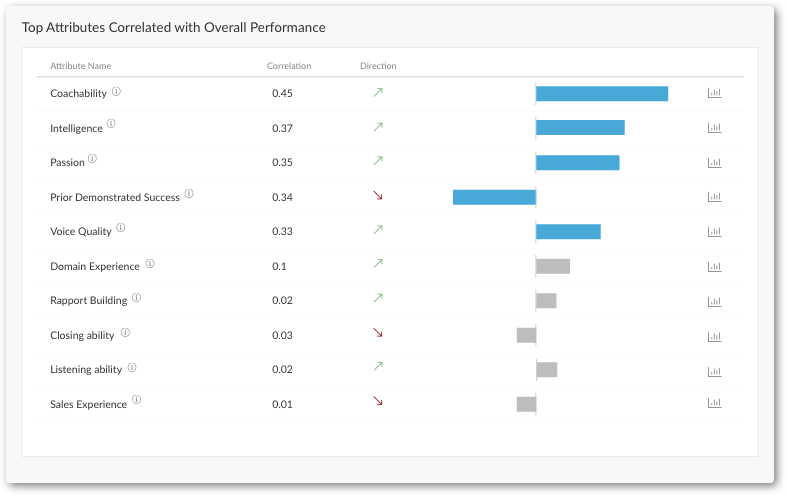 Predict candidate outcomes based on trends identified in your employee data. "We predict that winners in the war for talent will go beyond deploying 'off the shelf' assessments to develop evidence based models, (identifying the attributes) required to successfully deliver on a specific role in its unique environment. This can be accomplished through closed loop machine learning to pinpoint what factors distinguish high performers from the rest." Applicant predictions continue to improve as new hire data is added, allowing for continuous improvement over time. Assessments are short, mobile friendly, and full of insights for both hiring teams and candidates. 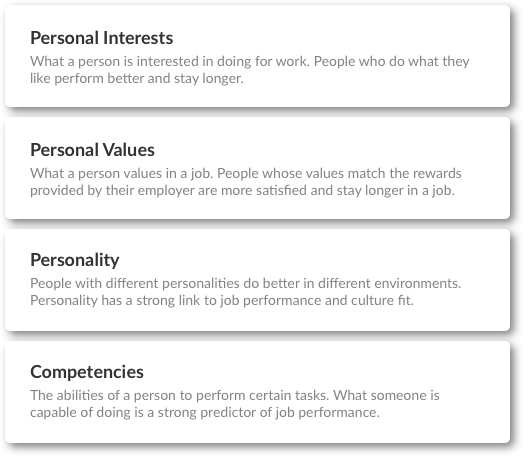 Screen candidates in minutes based on the traits that matter at your company. All of Journeyfront's assessments have been scientifically validated by trained psychometricians. They measure the dimensions that decades of research have shown are important. We can incorporate attributes unique to your company and not found in our standard assessments. These can be traits that matter to you (like your company's core values) or factors not typically associated with assessments (like work history, academic background, etc.). 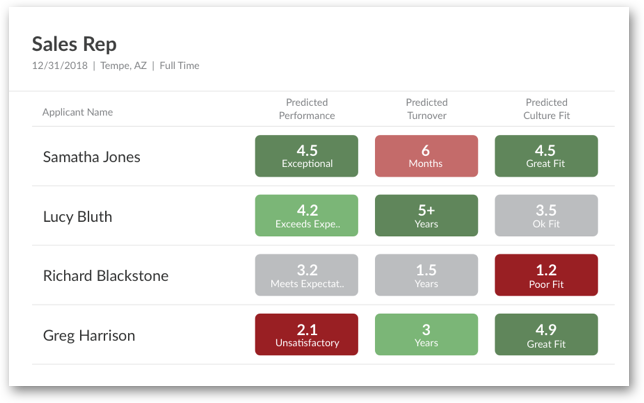 Journeyfront algorithms will identify what attributes across your employees are driving the outcomes you want. This allows you to focus your effort on screening for only those traits found to be predictive. Want to see Predictive Screen™ in action?